Need A Phone While in Philippines? Having an affordable data enabled cell phone while in the Philippines is a way to always be able to stay in touch by email or have access to the web. In addition, you can see where you are and where you need to go with apps such as Google Maps, upload videos and photos to social media sites such as Google+ and Facebook and find and review tourist attractions, accommodations, restaurants and stores. You can browse the web for less than $0.25 per 30 minutes. Please note that our Standard Rental does not have data capabilities. *PLUS the price of (1) recharge voucher for initial talk credit ($29.00). This gives you 47 international or 17 domestic minutes. Travelers to the Philippines can enjoy low data and call rates with our cell phone rentals. We offer three options. The Standard Rental is perfect for travelers who need an easy to use phone for making and receiving calls and texts but do not need to send or receive emails or browse the web. The Smarphone Rental and the iPhone Rental both offer you to surf the web, check your emails, use apps such as Google Maps and others as well as upload photos and videos. In addition, the iPhone allows Skype usage using data on the cellular towers. 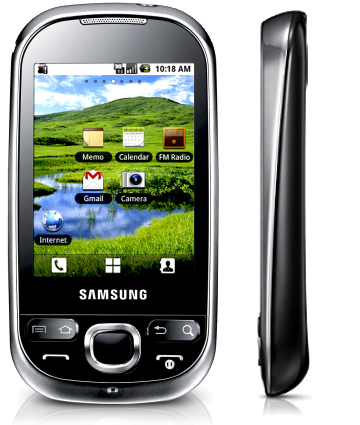 Since data is extremely affordable in the Philippines, many of our customers rent a data enabled phone. If you plan to make a lot of international calls, we recommend using Skype or a similar VoIP application for international calls as, while the standard rates are very good compared to other providers, at $0.40 per minute, charges can add up. The service is pay as you go meaning, you can add call/data credit for your usage without being concerned about receiving a bill. Simply add funds locally or prior to your departure as needed – similar to what you do when you fill up your car with gas. In addition, if you would like to either keep your existing US or Canadian cell phone number or you want to make it easier and more affordable for people back home to reach you, we offer a US number add on for only $19. This feature gives you 76 minutes of incoming calls on the US number and/or call forwarding. Feel free to purchase as many buckets of time as you need. This is a great way to get all the benefits of roaming for a small fraction of the price. With or without this feature, all of our rentals include a Philippine phone number. How Do Cellular Abroad Rates For the Philippines Compare To Your Current Carrier? $.02 domestic / $.35 intl. Your Phone Rental is ready to go. When you arrive at your overseas destination, simply turn it on and start using it. If and when you need additional credit, you can purchase it locally at any convenience store or through Cellular Abroad. $29.00 for initial talk-time voucher (1 per phone).